The Photo Presentation Facility, located on the first level of building 05, is open to all CAED students. 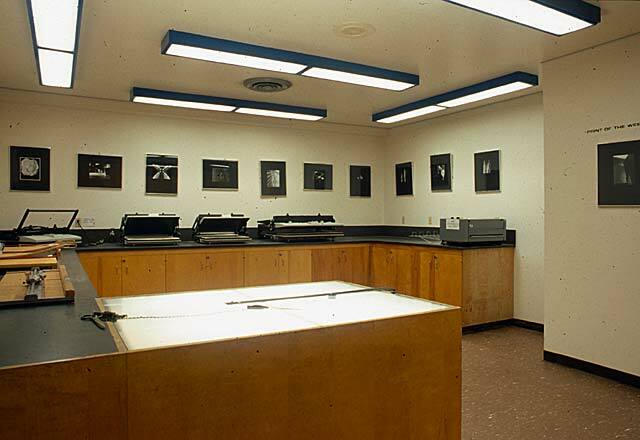 They may use this facility to document their projects, prepare for presentations, archive work for their portfolio; make black and white prints, mount drawings; digitize images for web sites or presentation and generally manipulate images for their academic needs. In addition, it supports the Architecture Department's photography courses. 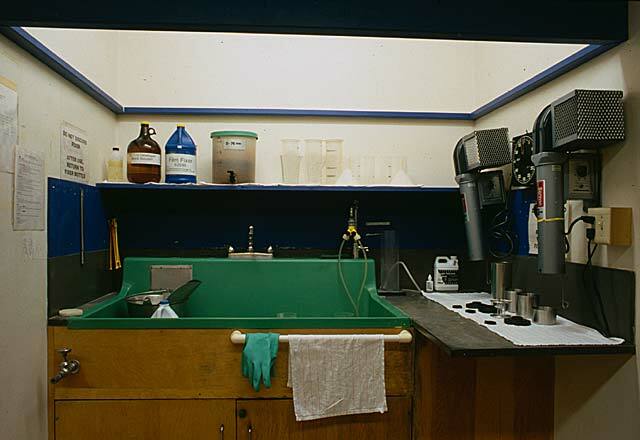 The Lab staff is experienced in assisting students with all aspects of the photographic process needed by the typical CAED student. From taking the photograph to printing the image, the facility provides students with either the resources or information to actualize their graphic and/or visual presentation projects. If you are more than 15 minutes late for a reservation your reservation will be given to another student. A student who fails to cancel a reservation within two hours of the scheduled studio time will be prohibited from using the facility for the duration of the academic quarter. 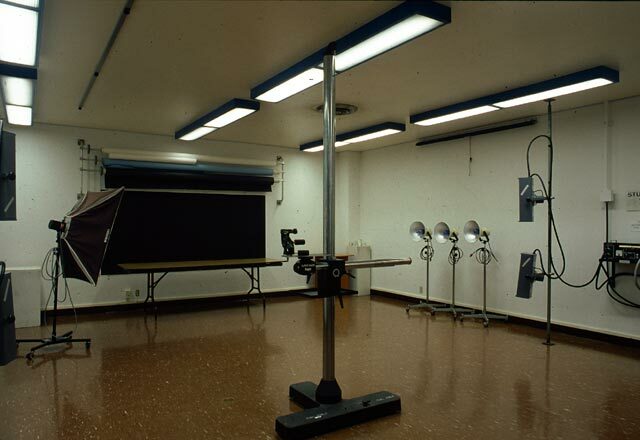 Darkroom facility includes 12 darkroom/enlarger workstations for printing. 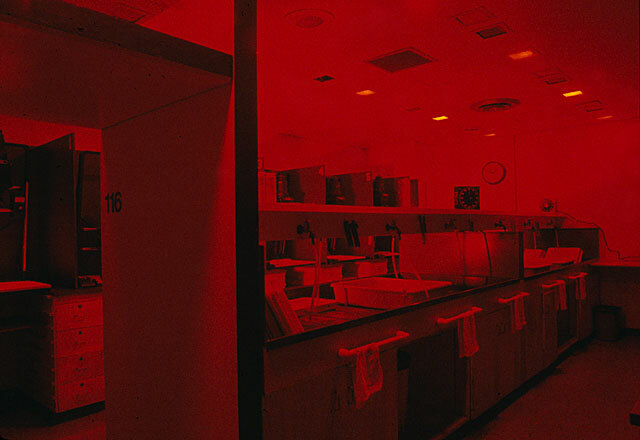 The film development area is equipped to process film. There are dry mount presses and cutting tables to prepare presentation boards. This is an area where students may scan 35mm film, copy images to CD, print in color or make 35mm slides from digital files.